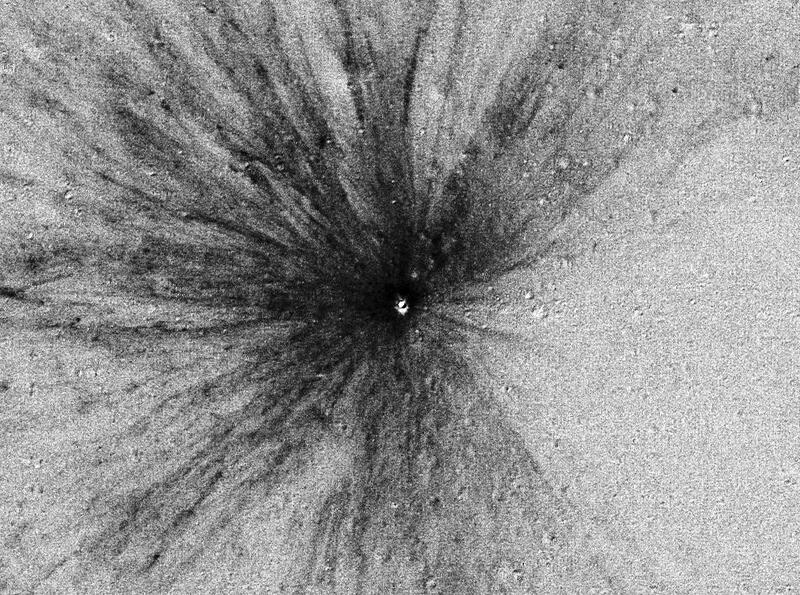 October 12, 2016 – The moon’s surface is being “gardened” — churned by small impacts — more than 100 times faster than scientists previously thought. This means that surface features believed to be young are perhaps even younger than assumed. It also means that any structures placed on the moon as part of human expeditions will need better protection. This new discovery comes from more than seven years of high-resolution lunar images studied by a team of scientists from Arizona State University and Cornell University. The team is led by ASU’s Emerson Speyerer, who is also the lead author of the scientific paper published October 13 in Nature. The Lyman-Alpha Mapping Project (LAMP) is one of seven scientific instruments on LRO. The LAMP instrument was developed and built by a team of scientists and engineers from the Southwest Research Institute (SwRI). The Denver Museum of Nature & Science is the educational partner for LAMP. The University of Colorado Boulder and the Space Science Institute are also involved in the mission.